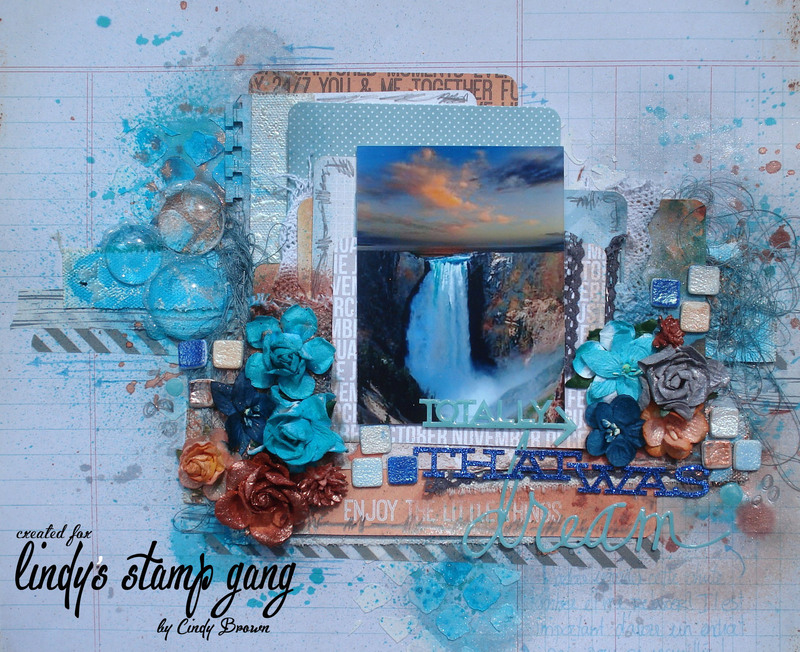 Hi everyone, it’s Cindy Brown here, and this is my very first post for Lindy’s Stamp Gang! Wow! I’m so happy to be part of this wonderful team! I decided that for the first post I’d make a page with a few techniques. 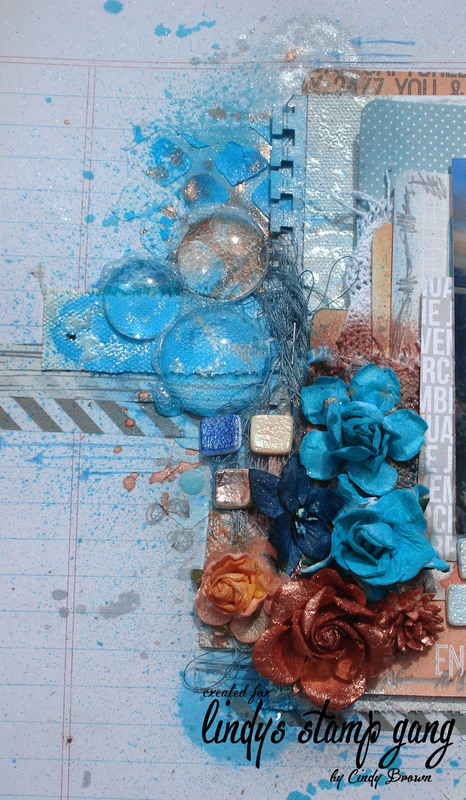 I used the sprays of Color Challenge palette, as well as the embossing powder. 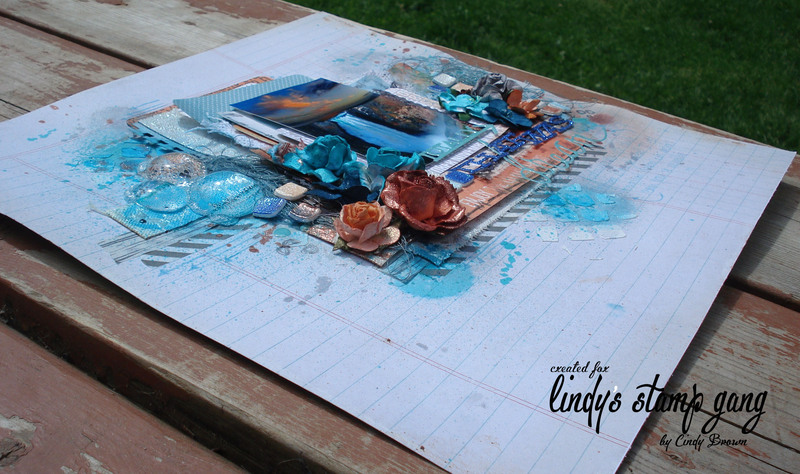 I love Lindy’s Stamp Gang products because they are bright and work very well. 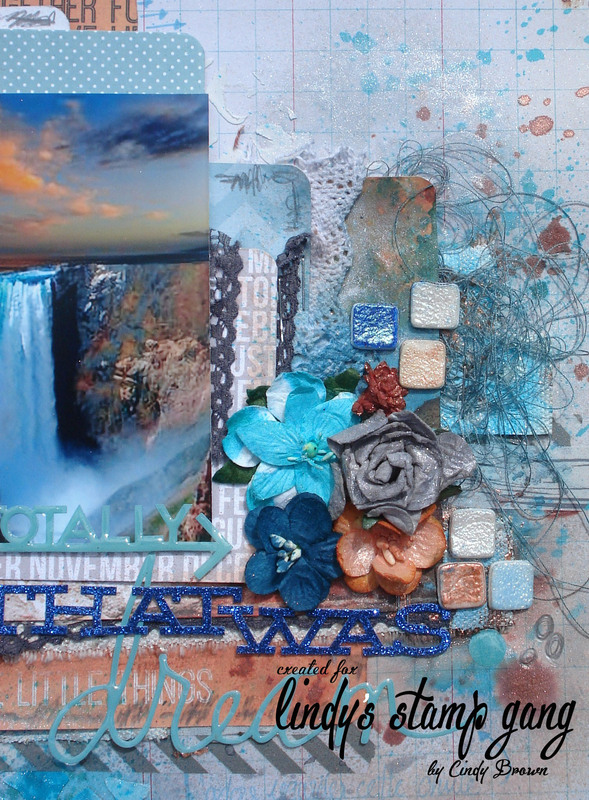 I also made for you a video tutorial you can watch on Lindy’s Stamp Gang’s Channel, so don’t forget to stop by there as well. I hope to give you inspiration with my creations. With out further ado, here are the pictures of my creation. Enjoy! I can not wait to see you going to do with the products they are so beautiful and pleasant to work.